myoldmac.net - Apple and Mac 68k Forum - View topic - APPLE MAC PLUS - NO OS - what can I do? Apple and Mac 68k Forum :: View topic - APPLE MAC PLUS - NO OS - what can I do? Posted: Fri Nov 19, 2010 9:04 am Post subject: APPLE MAC PLUS - NO OS - what can I do? I got Apple Macintosh plus with externah hard drive (RODIME 20mb , UNBOOTABLE, so I believe it's broken) and Imagewriter dot printer. Also, I have a floppy disk I can boot, and It's booting system with finder 6.0.8, but I can't install the OS with just only one diskette (system6 usually needs 4 800k or 2 1.4m diskettes). How can I get an OS working? First, i tried to format Macintosh 800k floppies on my PC... (Yeah, I have nobody who have an Old mac around) I got .sea.bin images, uncompressed it and put the image to my floppy with dd (dd is command-line utility for Unix, that allows to copy data from and to any media), but everything I did was unbootable on Mac. Some websites says it's impossible to format macintosh 800k floppy on PC because PC's floppy dirve is different. Second, I got an Vmac emulator. I created 1gb hfs image, attacched it to Vmac and successfully installed an OS to the virtual hard drive. Can I just put that image to the REAL scsi hard drive and try to boot my Macintosh Plus with it? a SCSI or HD 20 ? I have two segate cheetah SCSI HDDs... Can I use them to boot? 1) I have two 50-pin centronics on the backside of my hard drive case. 5) I have a red LED indicates disk read\write access on it. When it's connected to the plus and my Macintosh computer asking for media to boot ([?] blinks on screen), the HDD's LED is blinking too! 6) Mac don't boots up with HDD. After I give him the floppy to boot, it loads just the finder 6.0.8. No any apps available, no way to install the OS and no way to browse hdd's file system. Also, I'll get my adaptec PCI scsi controller for mac\pc soon. 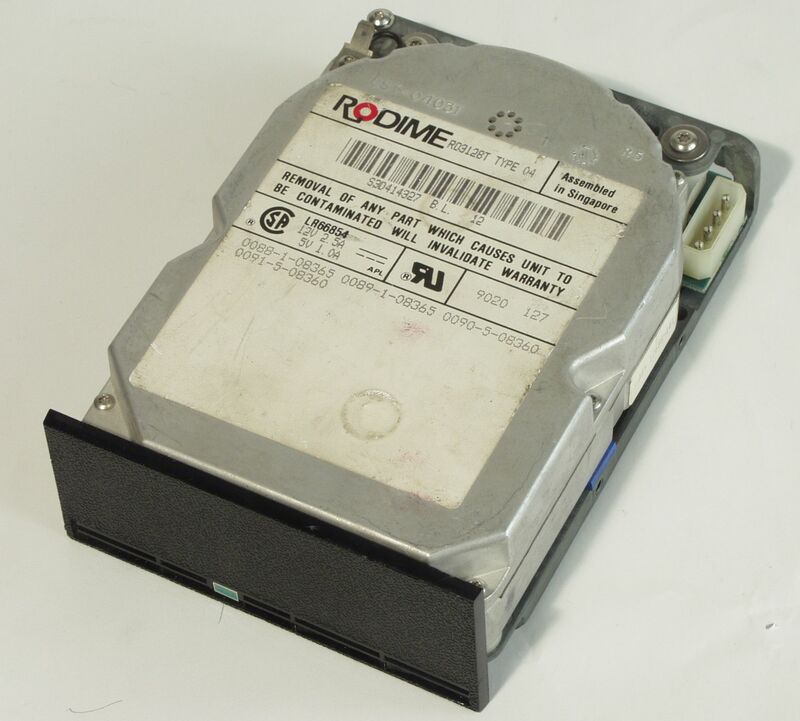 Can i just copy an image of hdd with os installed to my scsi cheetah hard drive and try it to boot up? It's reasonably common that someone gets an old used Mac and it has no operating system on it. Often, these people don't have anything other than a PC to access the Internet. As long as your Mac is an SE FDHD or Mac IIx or higher, you can use these directions compiled by Alex Harrington (aka "fastkeys") to get that Mac up and running. Due to irreconcilable physical differences in the floppy drives of PCs and Macs, a Mac 128, 512, Plus, original SE, or un-upgraded II cannot use this procedure. If you have one of these, you'll need to get a Mac that can read PC floppies or find someone willing to make floppies for you. * System 6.0.8 bootdisk image (900K). If your Mac needs System 7 or higher, get the 7.5 Network Access Disk and use that to put a very basic OS on the Mac. * Aladdin Stuffit Expander for Windows - PC Version. * Press Return or Enter. * Press Return or Enter. You should see a prompt something like this c:\mac>. * It will then ask which drive you wish to write. Insert a blank floppy in your floppy disk drive. * Press Return or Enter again. * The disk should now be written. This may take some time. It can be quite noisy on some floppy drives but this is normal. * If all goes well, rawrite will finish and return you to the DOS prompt. * Close the DOS window. * Remove the floppy disk from the drive. * Place the new bootdisk in your Mac's floppy drive and power it up. The Mac should boot from the floppy. * Use the Apple HD SC utility on the boot disk to re-initialise your hard disk, if present. * When the formatting program completes, quit it and drag the contents of the floppy onto the hard disk. * Open the System Folder on the HDD and then close it again to "bless" it. * The boot disk should eject and the machine should restart from the HDD. On *nix systems, you can [you need to, in most cases] remove the header from uncompressed disk images by skipping the first 84 bytes of the image when writing it to disk. In order to get the image file, use Aladdin Stuffit Expander for Linux (runs on most x86 unices with Linux binary emulation). Operate on the data fork, not the resource fork. Thanx, but it's all about 1.44m floppies, not 800k. I got your reply on email a couple days ago, thanks)). I've formatted a 720k diskette and copied a boot disk image with dd, but it doesn't work, because 720k pc floppy is NOT mac 800k floppy. I have a bunch of old ATARI Disks, that I can format on a MacPlus here, I add (english) System 6 on it (all 4 disks) + my favorite applications and send them to you, think its the most easiest way to get it done quickly. Please send me your address as a privat massage or via mail (contact on the index page of myoldmac.net). But first... I'll try to copy my Vmac hard drive image to real scsi drive and boot it up... I need just to get my SCSI controller from Ebay) Next two weeks I think. how many RAM is installed in your MacPlus ? I have a Russian System 7 Installer Set, if you have 4 MB RAM this could work nicely. If you only have 1 or 2 MB we need System 6 or 5. I have a System 5 english installer - for 6 i need to download and transfer from the net. Which System is your favorite one ? Posted: Sat Dec 11, 2010 10:40 pm Post subject: Good news! First I had problems to get the disks from Internet out of my Mac Mini but found an old 6.0.8. e installer ( 4 disk version) on my old (Power) Mac and was able to copy them to 800 k disks. New here, but in the same situation as Dinobot with a misbehaving Mac Se and Plus, without any boot disk available. If you have a Mac around that is online you could download the system installer from the apple server. http://download.info.apple.com/Apple_Support_Area/Apple_Software_Updates/English-North_American/Macintosh/System/Older_System/. You have it a bit easyer than Dinobot because you have a Mac SE (is a 1,4 MB drive installed)? Dinobot, did the Disks arrived ? If not it seems I need to send them again. Maybe lost in the Christmas post horror. Sad. Hello MacOs and thank you for the warm welcome. No unfortunately the SE is on 800K (there was a later model branded HD something something) with the 1.4Mg drive, but I have the original SE, and pretty much non-functional at this stage. It does boot, I can format a floppy, but that is about it. Very very frustrating not be able to go any further. I have tried all the tricks with DD on OSX, with all kind of floppies, no luck. I need a 800K floppy drive to have any chance and I cannot locate anybody who has old kit who could help me. Should Dinobot not re-appear, would it be OK to send you a set of floppies and cash to cover the postage costs? Can you duplicate your System 6 disks? On a tangent, you would not happen to know where I can find System 6 user guide in electronic format, would you? sure I can - for historical purpose and save a MacSE. Probably my post service lost it, but it never lost my packages before. I always got all my international packages in time (like ebay). Now I got 30gb SCSI hdd and it works fine. Also I have PCI scsi controller in my PC and windows (and linux too). Do you have any idea, guys, how can i put my hdd image I use with Vmac to the hard drive to make my Plus boot up? Can I boot it up with no diskettes?